Cashin painting is a professional painters & decorators company specialising in domestic and commercial areas. 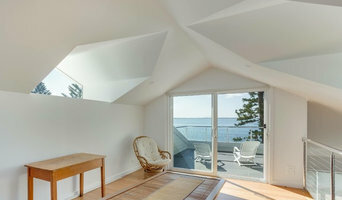 Cashin painting has built an outstanding reputation on quality, to be a successful painting and decorating company and a record of satisfied customers. We have a small team of dedicated painters who strive to give our clients their most expert advice and professional painting and decorating service from start to finish. So call us today for an appointment for our services. With over 10 years of experience in the Newcastle region Reg Heron can guarantee all your painting and waterproofing requirements are completed to the highest of standards. No less then the best products and finishes will be used and with the correct and skillful application you can expect all work to last and still be looking good in years to come. There is no job to large or to small with experience providing services to homes of all sizes, commercial properties, offices, retail outlets, schools, and all buildings new and those that just needs a freshen up. Reg is happy to cover a large area of Newcastle, Lake Macquarie and the Central Coast, including: AdamstownBeresfieldBelmontBlacksmiths BroadmeadowCardiffCharlestownDudley Elermore ValeGatesheadGlendaleHamilton HexhamIslingtonThe JunctionKahibah KotaraLambtonMayfieldMerewether MinmiRankin ParkRedheadSwansea WallsendWaratahWickhamWarners Bay This list should only be used as a guide, Reg is willing to go as far as required to cover all your painting and waterproofing needs. One of the big differences between Reg and most others in the industry is reliability. The service provided is above and beyond the average tradesman, not only with the quality of professionalism and workmanship but also being able to turn up for quotes and to do the work when expected. All quotes provided are obligation free. The team is made up of fully qualified painters, associated with the Master Painters Association of Australia and certified by Workcover NSW. All work is supervised by a fully skilled and accredited supervisor who will also ensure that all work is carried out in tidy and organised manner so as not effect you as much as possible. All staff realise that it is important to be polite and courteous, with bad language being unacceptable and no smoking on the premises. 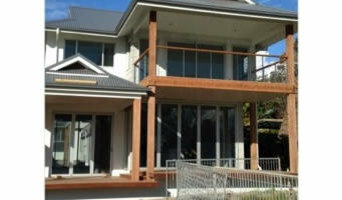 The quality of the workmanship has got to be backed up by the quality of the materials being used. This is why Reg recommends Dulux paints and will not use other cheaper alternatives at risk of reducing the quality of the work. For this reason Reg is able to guarantee 7 years for faulty workmanship, giving you piece of mind that the job will be done correctly the first time. Sean Hersee has paint running through his veins. A fifth generation painter (yes fifth!) amongst Newcastle painters, he has been painting since he can remember. Sean approaches each and every project with the care and consideration necessary to produce the superior quality finish he is renowned for. The Sean Hersee team’s commitment to superior quality is evident from initial consultation and site inspection where enough time is taken to fully understand the scope, vision, challenges and opportunities the project offers, to the selection of quality and sustainable products, right through to the execution of project with technique that can only be earned though a lifetime of craftsmanship. See some of the Sean Hersee team’s quality work here. Sean’s team are so confident in their product and process that they offer a 5-year workmanship warranty throughout the Newcastle, Lake Macquarie, Port Stephens and Hunter Valley areas. Our experienced painters are capable of undertaking difficult access projects and can provide all access equipment necessary, while ensuring the project is undertaken with strict adherence to Australian OH&S Safety Guidelines. The Sean Hersee team is fully qualified and experienced in the safe management of hazardous materials commonly encountered in our industry, including lead based paint, and asbestos. See the full scope of the Sean Hersee team’s services here. Making the world a more beautiful place is what we do for a living, and as such we are proud to use sustainable products and equipment wherever possible without compromising our consistent focus on superior quality. LS Painting and Maintenance Pty Ltd Services have been providing painting, decorating and maintenance services for the last 15 years. Our team is professional, hard working, meticulous and trained to the highest level. 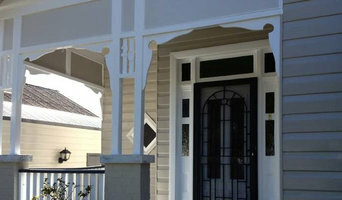 LS Painting and Maintenance Pty Ltd is a registered member of Master Painters of Australia. We pride ourselves in our personalised service to ensure customer satisfaction. This is reflected in the growth of our business and the referrals we receive from our satisfied customers. 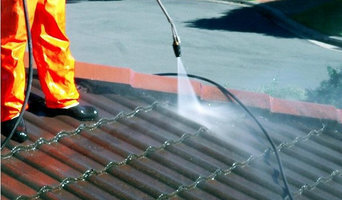 We do all aspects of specialist painting and maintenance. We have expertise in total project management which includes Paint Effects, Colour Matching/Consulting , Repairs and Maintenance , Roofing Restoration , Plaster Repairs etc. We work and paint with premium top quality paints and materials. 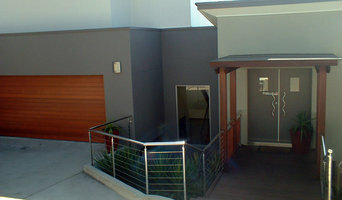 Most of our work is carried out in Newcastle,Central Coast,Hunter Valley and surrounding areas. We have public liability and accident insurance coverage. The Bristol chain of decorator centres are dedicated to providing inspiration and expertise to both retail customers and trade painters. Bristol has everything you need to paint and decorate your home, from inspiration through to advice and the right products. If painting your walls or installing wallpaper aren’t your favourite jobs, it’s very well worth considering hiring a professional for it. Not just for the obvious time-saving, but there’s actually more to a good paint or wallpaper job that you might think! Whether you’re looking to paint your bedroom or living room, you’re always starting from the all-encompassing question of which colour to paint your walls or which wallpaper to choose. The next challenge is selecting the best product for your needs. And don’t even mention the work involved in preparing the wall and applying the paint so it lasts. If you’re looking for a professional house painter or wallpaper installer in Newcastle, New South Wales you’ve come to the right place. You’re sure to find the best painter for your job in the Houzz professional directory. Here on Houzz, you’ll also find Newcastle, New South Wales professionals who can create a more creative wall design for your home, including wall murals or custom wallpaper. Murals drawn by an artist will often require a large space, but it’s worth investigating if you’d like a one-off feature wall every visitor will remember. If you’re after advice rather than application, here you’ll also find colour specialists that can help you in your quest for choosing the right paint colours or wallpapers for your abode. Scroll through this page to find painters and wallpaper installers in Newcastle, New South Wales. You can browse their latest projects, read reviews to see how other homeowners rate their work, and message them directly.